Designed to be used with one hand, the Tite-Mark is a precision marking gauge with a unique micro-adjustable head that gives you precise, repeatable settings for perfect lines every time. Our joinery saws are uniquely designed with variable pitches along with starting and stopping ramps that allow the saws to move before and after they cut, the same way power saws move before and after they cut. There are three pitch variations to choose from (fine, medium and coarse) and they all fit the same back, making them replaceable and interchangeable. The blades are also all available in rip or crosscut configurations. 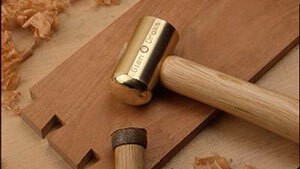 See our Joinery-Saw Videos. 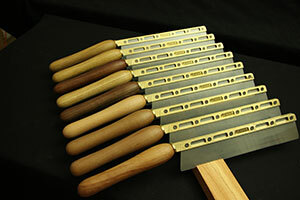 Tite-Hammers, the newest hammers from Glen-Drake Toolworks, are great for carving and other close work. 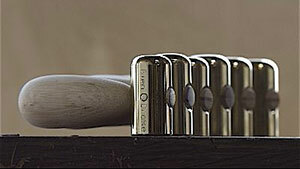 These little energy-savers are a unique blend of hammer and mallet. Our hardened-steel plane-adjusting hammers have one face domed for plane adjusting, and one face ground to a shape that fits the breaker screw. And what a difference a tool that actually fits the breaker screw makes! 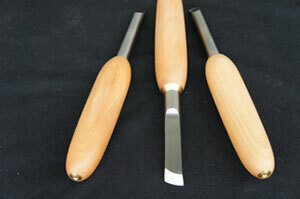 Our chisel hammers are milled from solid brass billets and have one face domed and one face flat. 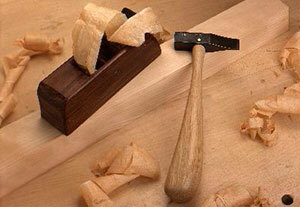 The domed face transfers the blow directly to the cutting edge without pushing your chisel to one side or the other. 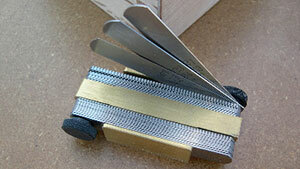 The Kerf-Starter looks like a knife but works like a scraper. 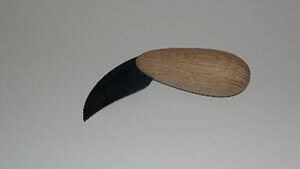 It removes a shaving, leaving a kerf that captures your saw. 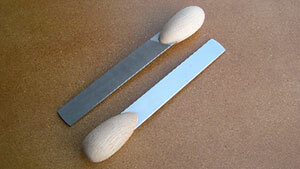 Use it for laying out dovetails and other joinery. Like all scrapers, the Kerf-Starters need to be burnished occasionally for best results. You will find that a flat burnisher works best for this. You can use any hard and flat surface as a burnisher, like the back of a chisel for example, but you may want to consider adding one of our file-burnishers to your order as it was designed for Kerf-Starter maintenance. The Combination File-Burnisher is not currently available. 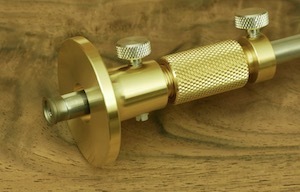 The Offset Gauge is a set of 35 leaves (.015" to .035") in a brass holder. It is designed to be used when you are laying out one piece from another, and you want to offset the already-cut piece to keep your layout lines in the waste. It is especially useful in conjuction with our Kerf-Starter. Our spindle-turning tools are designed for the woodworker who wants to make their own spindles, pull, pegs, plugs, and other furniture components.